I absolutely love the holidays and all of the fun activities that come with this time of year. I also love having my family at the dinner table together every day. But sometimes, life just gets BUSY and the holidays can be so stressful. That's when I go to my favorite, easy dinners that my family loves. We still eat dinner together, but it helps me get dinner on the table quickly knowing that I can pull one of my family's favorite meals out of the freezer instead of spending time prepping ingredients in the kitchen. 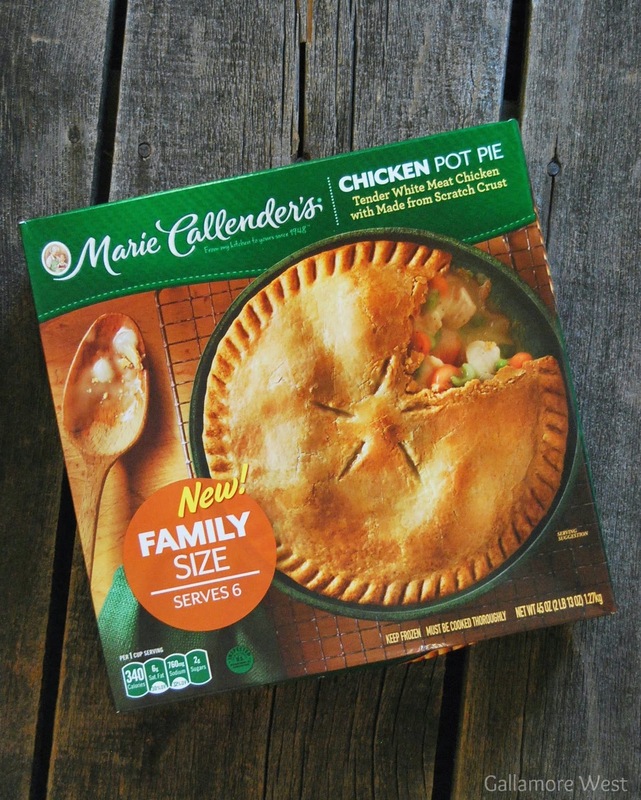 One of our favorite easy weeknight dinner solutions is Marie Callender's Pot Pies, hands down! 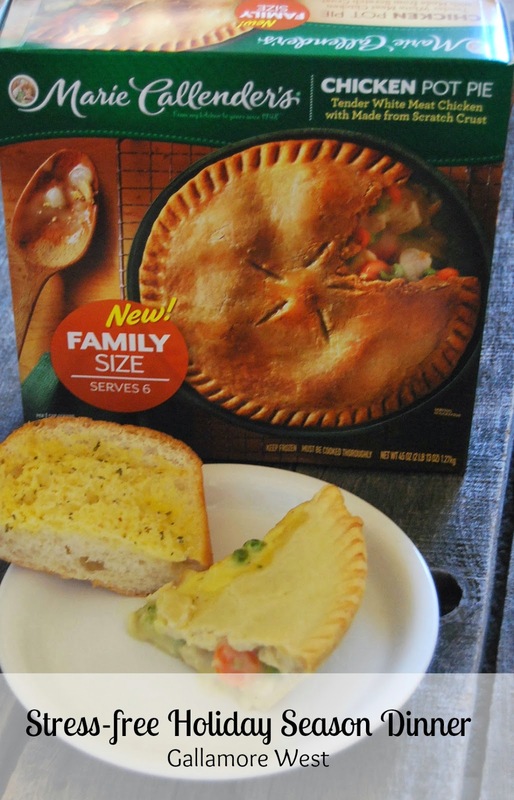 I love Marie Callender's Chicken Pot Pie because it comes in a family size portion (I buy mine at Walmart in the freezer section). 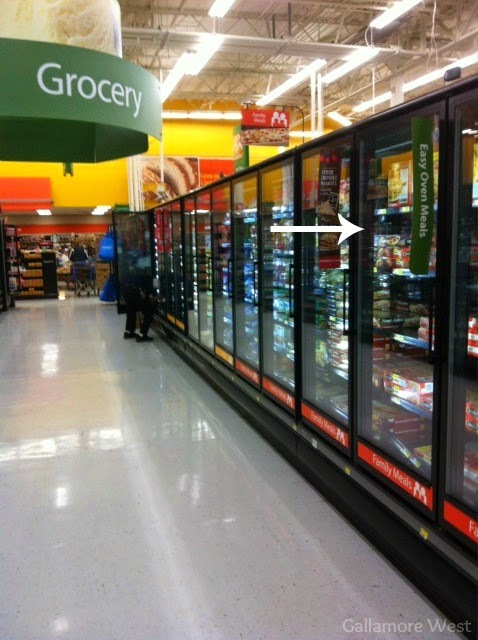 I also love it because it's packed full of white meat chicken and vegetables. Our kids gobble it right up! And even though it's a quick, easy dinner, I still like to pull out our favorite Christmas dishes to use all month long. Just because we're having an easy dinner doesn't mean we can't be festive still. It's a win-win for me... easy, delicious dinner for my family and we're all together enjoying the holiday season instead of rushing through it and stressing about it! 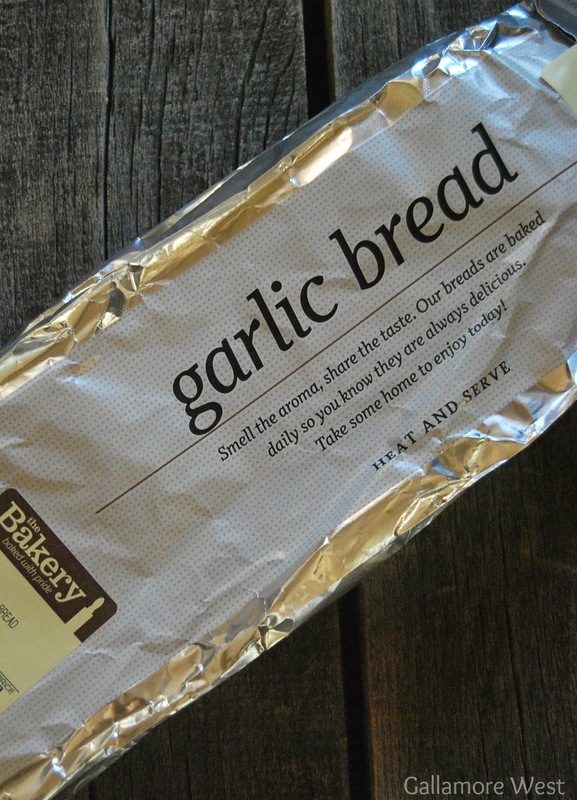 I love serving it with garlic bread from The Bakery at Walmart. I just heat the bread for the last ten minutes that the Chicken Pot Pie is cooking and I've got a hot, hearty meal on the dinner table that our whole family loves. 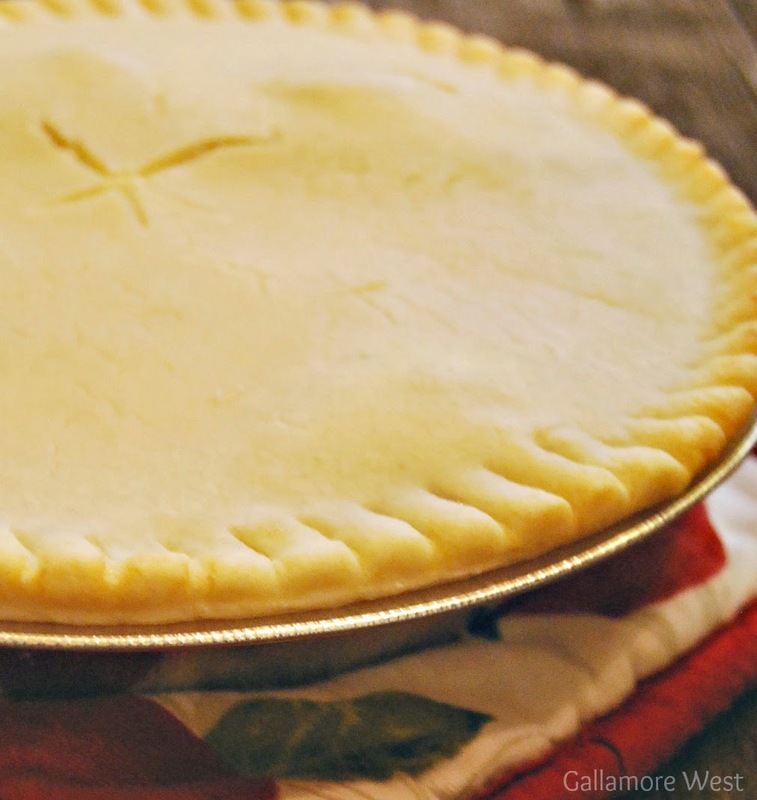 Marie Callender's Pot Pies have a golden flakey crust, it tastes like it's homemade and with the colder weather, it's the perfect comfort food. And that's a perfect easy weeknight dinner solution for me. What's your favorite easy weeknight dinner solution? Now that dinner's done and the kids are to bed early here thanks to these dark, early winter nights I'm using my extra time to wrap up our Christmas gifts and finish up my Christmas shopping online! 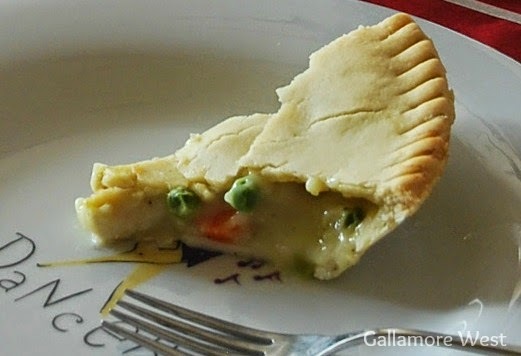 The holidays are fun, busy and sometimes stressful... let Marie Callendar's Chicken Pot Pie help you make dinner time easier this holiday season!